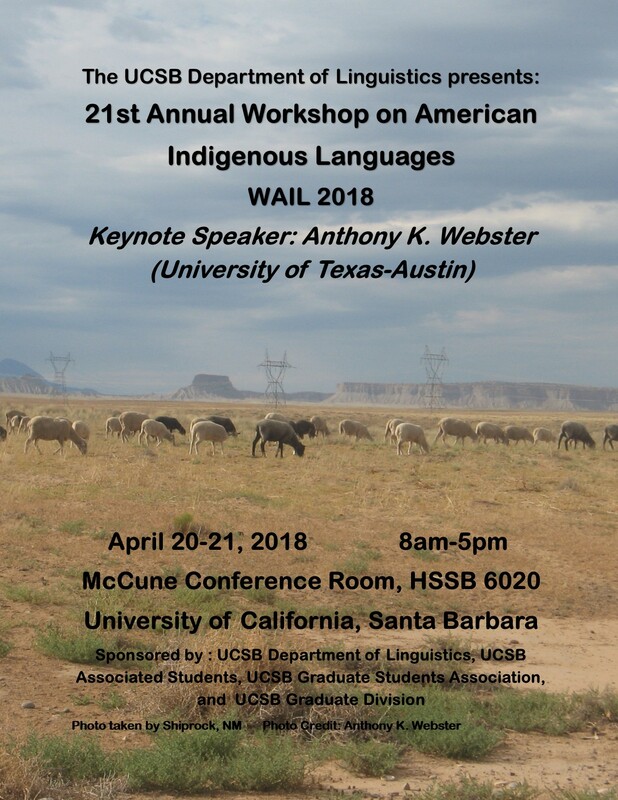 UCSB Linguistics' 21st annual Workshop on American Indigenous Languages (WAIL) will be held April 20-21, 2018, from 8am to 5pm each day, in the McCune Conference Room (HSSB 6020). A schedule of talks and more information will follow shortly. We hope to see you there!